NV Deutz Champagne Brut Classic: Retail $40. I bought this several years ago and this was the last of the lot. There was some slight oxidation on the nose, but that is a plus for me. Toasty, biscuity, and yummy on the palate. Champagne producers claim that NV champagne does not get better after release, but for me, this is the perfect argument as to how a NV can get better in the bottle. Outstanding. 90-92 Points. 2004 Domaine / Maison Vincent Girardin Savigny-lès-Beaune Les Vermots Dessus: Retail $35. 100% Chardonnay. Pouring into the glass, a bit golden with a hint of oxidation on the nose. But when paired with an Epoisses cheese? Whoa. The oxidation melds away and the brightness really comes out. As does the fruit. Whoa. Alone? Very Good 88-90 Points. With Epoisses? Outstanding (and a Whoa). 91-93 Points. 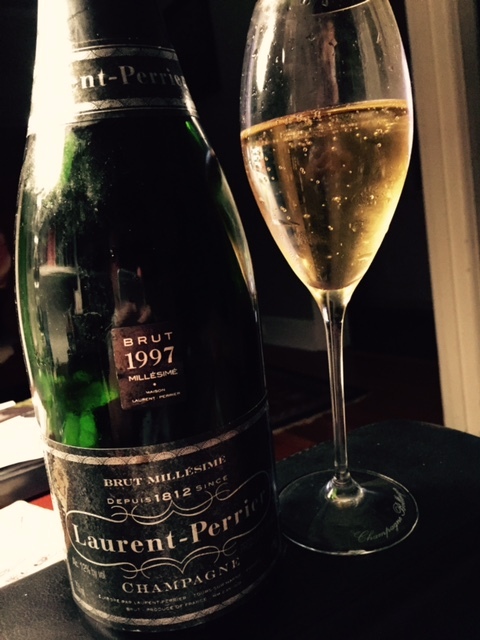 1997 Laurent-Perrier Champagne Brut Millésimé: Retail $80. Whoa. After the last bottle of this, I was more than depressed. So depressed, in fact, that I chose to ignore this last bottle, hoping that it would just go away. Tonight, Mother’s Day, I decided to pop this open since I had to do it at some point, right? Well, whoa. Lemon, croissant, and just a hint of oxidation. I dare say that this is the best champagne I have had this year. On the palate, it is fabulous–a burst of citrus, followed by a biscuity goodness, with a finish that lasts for over a minute. Yum. Outstanding. 93-95 Points. 2012 Saintsbury Pinot Noir Vincent Vin Gris: Retail $25. There are times in your life when you hit things just right. Or close enough that you sprain your wrist patting yourself on the back. I do not have a lot of those, so I relish in the mini-wins. This was one of those. I bought a case of this wine, back when it went on sale at the Pennsylvania State store (PLCB) for $8. One of my better purchases, I have to say. This wine tonight is certainly not fruity, nor is it all that introspective, but for $8? This was a steal. Good acidity and balance, and even at 2-3 years old, this is solid. So why am I such a genius? Well, I drank this last bottle at the precisely right time (at least in my mind), as it would have only been worse tomorrow. Very Good. 86-88 Points. 2001 Trefethen Cabernet Sauvignon Library Selection: Retail $65. A particularly rich nose of raspberry, blackberry, vanilla, and a hint of mocha. Simply put? This wine rocks. And not a Joan Jett and the Blackhearts kind of rock, but more of a Led Zepplin or a Nirvana kind of rock–the type of music that you can crank up to eleven and forget about everything else, or play it low during a dinner party. Yes, this wine rocks, and that is a technical term. Whoa. Rich without being overbearing–I have always been a fan of Trefethen and this is why. Bold, yet restrained at the same time. Outstanding. 92-94 Points. 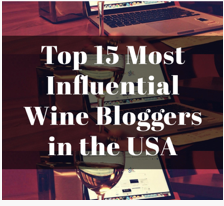 This entry was posted in Burgundy, Cabernet Sauvignon, Champagne, Chardonnay, Rosé, Wine and tagged Argyle Pinot Noir, Argyle Pinot Noir Nuthouse, berry fruit, California wine, cellar tracker, Chardonnay, Pinot Noir, Skewis Pinot Noir Anderson. Bookmark the permalink. I did see the reply! Thanks, the kids loved the ham (even without the bone). With cheese, I always try the wine, then have some cheese, and then revisit the wine. Amazing how it changes! Because of you, I grabbed a La Crema Chard last weekend… I think that’s one you mentioned last time!! Good to hear! They really do a good job…. Let me know when you have it!